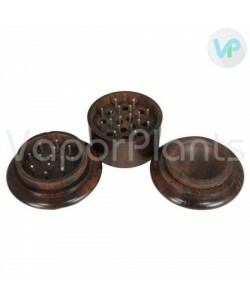 The 4-Piece Metal Grinder is a small grinder that offers big convenience when it comes time to prepare dry herbs. With its four-piece design, this dry herb grinder is capable of separating pollen from your material, so that you don't waste anything when it comes time to vape. The herb grinder is constructed primarily out of aircraft grade aluminum, making it ultra-strong. At the same time, aluminum is very light, so this design isn't one of those models that will weigh you down when you're on the go. 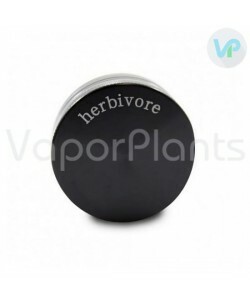 A magnetic lid helps to keep the herb grinder closed, greatly decreasing the risk of any herb becoming wasted due to spills. 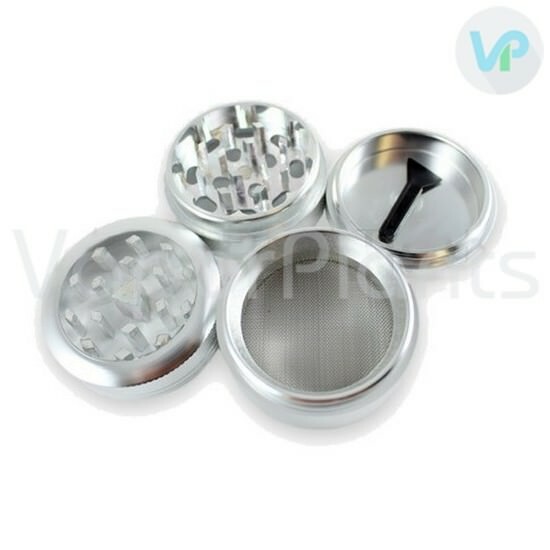 The dry grinder has a clear acrylic viewing window at the top and comes with a stash bag.